This article is by guest author Dave Steen of PreppingPlans.com. It is a good read and his bio is at the end of the article. We live in a very mobile society. Since the automobile became commonplace, the American people have grasped hold of the steering wheel and taken to the road. We don’t let little things like winter storms stop us either; if we’ve decided we’re going to travel, then we travel; regardless of the weather. Unfortunately, that can sometimes lead to disastrous results. The weather doesn’t always cooperate with our travel plans and can turn a pleasant winter’s drive into a nightmare of just trying to stay warm enough to survive through the night. Winter storms can crop up suddenly and dump enough snow on the roads to make them impassible; even worse, they can drive you off the road. However, a few simple preparations can make it so that even if you do get caught in that storm, your chances of survival are as good as sitting in your living room, watching the storm on the television. Like most potential disasters in life, what’s needed is preparation. The right preps will make it easy to get through that snowstorm, while waiting to be discovered and recued. But without the right preps, you could be in dire peril. The first thing any of us need to do if we are going to be driving in the winter is make sure that our car is ready for the winter weather and road conditions. Wintertime is hard on cars, not only from the sense of making it hard to drive, but in making sure that every part of the car continues functioning like it should. There are several parts of a car which are more likely to break down in the wintertime, than they are in the summertime. Battery – Car batteries are one of those parts that are more likely to fail in the winter. Check your battery. If there is any indication that it isn’t holding a very good charge, take it to be tested. Otherwise, it may very well leave you stranded someplace. Tires – Your car’s only contact with the road is the tires. When the road has snow or ice on it, those tires have a harder time getting a grip on the road. If your tires don’t have much tread on them, it’s time to replace them with some that do. Windshield Wiper Blades – Clearing snow and ice off a windshield is hard on wiper blades. If they are cracked at all, they’ll probably fail when you need them. This is a cheap fix, so why wait? 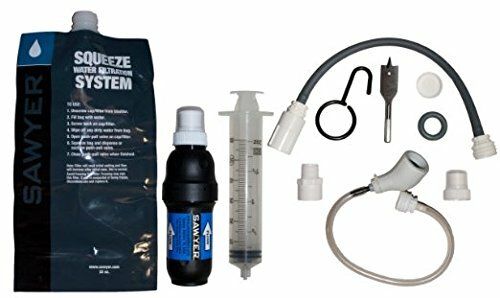 Anti-freeze – Your car needs a 50/50 mix of anti-freeze and water. If you have had to add water to the radiator or overflow tank during the year, you may not have that mix. If there isn’t enough anti-freeze, the water could freeze, damaging your engine. Hoses – Bad hoses often start swelling near the ends, next to where the hose clamps are. If yours have bubbles or swelling there, it’s time to change them. Belts – Cracked belts will break at the most inopportune times. Changing a serpentine belt is fairly easy, but changing it on the side of the road, without the proper tools, in a snowstorm is a huge problem. Windshield Washer Fluid – Keep your washer fluid tank filled, so that you can clean that slush and mud off your windshield. Gasoline – It doesn’t cost any more to keep the top half of the gas tank filled, than it costs to keep the bottom half filled. Keep your tank full, so that if you get stuck, you have enough gas to run the engine and heat your car. A car that’s prepared to deal with winter weather is much less likely to cause you problems, than one that isn’t. Nevertheless, no matter how well your car is prepared and how good a driver you are, things can happen. You might end up off the road somewhere, just because the road is too slippery. You have to be ready in case your car ends up off the road in a ditch, or it just breaks down. Police and road crews are trained to look for cars alongside the road, so you’ll probably be found. That makes your survival task much easier, as you only need to be prepared to survive 24 hours on your own. Even so, you’ve got to have the right stuff, so you can make it through those 24 hours. Tow Strap – Some nice guy in a pickup truck just might come along and offer to pull you out. Having a tow strap makes sure that he can. Jumper Cables – Your car may need a jump start, especially if the battery is weak. Don’t count on finding someone who has cables, carry your own. Tools – Emergency repairs are always easier if you have tools. Even if you don’t know how to repair your car, carry some tools. You never know when you might run across someone who could help you, if they only had some tools to work with. Extra Fluids – Always keep some extra oil, power steering fluid and anti-freeze in your car. Rescue Blankets (at least three) – These are heat reflectors. Use them to line the passenger compartment of your car if you are stuck and have to spend the night. They will help keep whatever heat you have available inside the car. Duct Tape – To use with the rescue blankets. 50 feet of Paracord – You don’t want to go outside your car for anything. But you may be forced to in some circumstances. If you have to go out, tie the cord to your belt and the steering wheel. That way, you can always find your way back to the car. Plastic Bags – To use as a toilet, so you don’t have to leave the car. Toilet Paper – To use with the plastic bags. High Calorie Energy Bars – You won’t need a lot to eat in one day, but you will need energy to help you keep warm. Old Blankets – Great for helping you to keep warm in the car. Candles and Lighter – Will both provide you with light and a small amount of heat. You’re better off with wide candles or those that are in jars. Flashlight – To signal rescuers. Phone Charger – Your phone will probably be your most important piece of survival equipment in this situation. Keep a charger in your car, so that you can recharge your phone if you need to. If you end up stranded somewhere in your car, stay in your car. Not only does it provide you with the best shelter you have available, but it will also signal to the police that someone is in trouble. You can be sure that they will be checking out any cars they see alongside the road. Before leaving, tell someone where you are going, the route that you expect to use and when you expect to arrive. When you arrive, call them and let them know that you made it. If you don’t tell them, they should call the appropriate police agency and letting them know that you are missing and what route you took. If your tailpipe is clear of snow, run your engine every fifteen minutes for 15 minutes. This will allow your car heater to help keep you from freezing. You may not be toasty warm, but you’ll survive. Running it constantly may be nice, but you’ll probably run out of gas. Using the rescue blankets and duct tape, cover the roof, windshield and doors of your car. If you are by yourself, let the rescue blanket hang down behind the front seat, blocking off the back seat. That gives you a smaller space to heat, which will help you stay warmer. The rescue blankets won’t work as insulation, but they reflect back over 80% of the heat that strikes them. Use your phone to call for help, if you can. If anyone approaches the car, use your flashlight to signal them that you are inside. A sign in the window can help as well, although it might get covered up with snow.